Gold is back on the table as an investment option. The prices for the yellow metal have increased 6.2% in the past year. Overall, Indians have always been one of the larger consumers of gold. Some invest in mutual funds that invest in gold and some prefer to invest in sovereign gold bonds. And since gold in the paper form, such as a gold mutual fund or exchange-traded fund, is available throughout the year, it becomes a matter of convenience for individual investors to stagger their investments. Gold mutual funds are of two types – gold exchange traded funds (ETF) and gold savings funds. As the name suggests, gold ETFs are mutual fund schemes that invest in gold and are listed on the stock exchanges. These are passively-managed funds – the fund manager’s role is limited to buying bullion gold of 99.5 purity and keep it with the scheme’s custodian. This is done to mimic the price performance of the physical form of gold. Put simply, gold ETFs are expected to offer returns similar to that offered by physical gold, before scheme expenses and tracking error. Lower the tracking error, better it is for the investor. Expense ratio for these funds range between 0.55% and 1.18%, according to Value Research -a mutual fund tracking firm. An investor can purchase and sell units of a gold ETF on the stock exchange. He/she, however, needs a demat account to purchase the units of gold ETF. 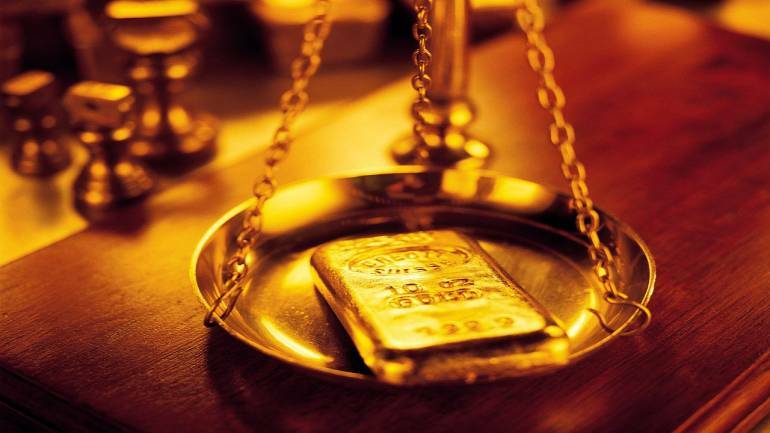 A gold ETF negates the need to hold and store physical gold. But it has one drawback: it doesn’t allow you to do a systematic investment plan. Also, one may find it painful to keep placing buy orders at regular intervals on the stock exchange. A few brokers allow purchase of gold ETF units at a predetermined interval, say monthly or weekly using Equity Systematic Investment Plan (Equity SIP). However, in that case the investor needs to specify the number of units to be bought at the time of each purchase. Not everyone is comfortable with such an arrangement. To overcome all these issues and allow investors to buy gold ETFs of a fixed amount per month (or at a regular interval of choice) without insisting on a demat account, the mutual funds came out with gold saving funds. These are feeder funds that buy units of gold ETF. These schemes allow investors to make SIPs and help them allocate money in a staggered manner. Of course, this convenience comes at an additional layer of costs. The expense ratio for these funds hover between 6 basis points to 1.82 percent. Note that this is over and above the costs charged by underlying gold ETF in which the gold savings fund invests. Effective April 1, 2019, ETFs’ maximum total expense ratio will be capped at 1%, whereas for the fund of funds the same will be capped at 2%. Each of these arrangements have cost implications. While gold ETFs come with expense ratio, demat charges and brokerage payable on transactions, gold savings funds come with elevated expense ratios.